It’s good to see that smaller companies are on the increase and mostly producing brand-new kits, and one of the best-known of these is Moebius Models. Created by Frank Winspur a few years ago, Moebius was initially known for recreating old Aurora kits, but has now taken on a distinct identity of its own. 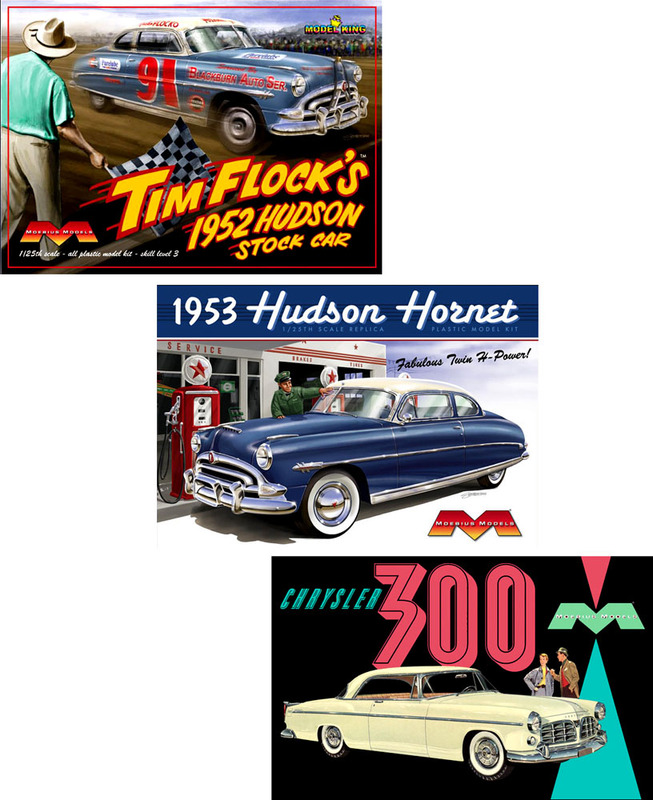 Hudson Hornet, in sedan and convertible forms. First there was the recent 1:25 scale International LoneStar truck, and now there’s an excellent 1953 Hudson Hornet, accompanied by convertible and Stock Car versions. Fans of retro-Americana will also love the 1955 Chrysler 300, due soon. 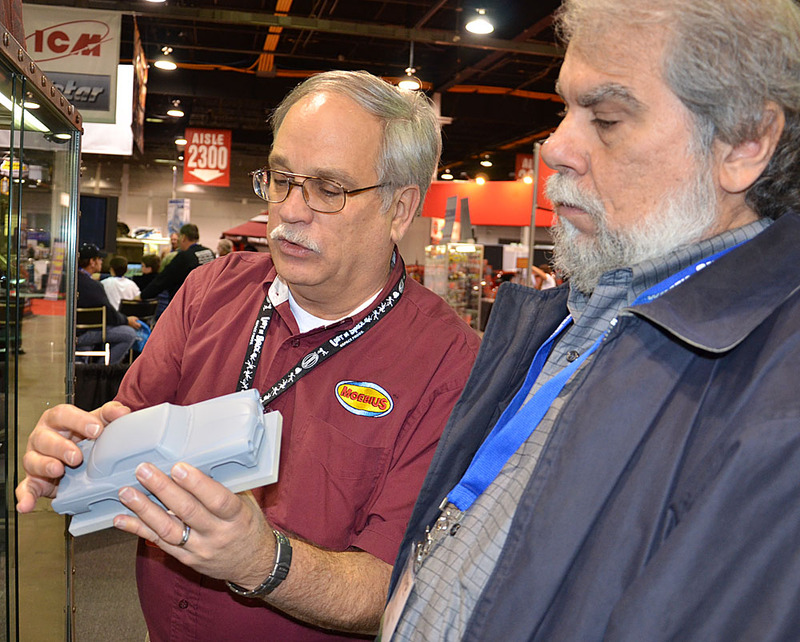 Dave Metzner of Moebius (left) shows model car enthusiast Dean Milano the body pattern for upcoming Chrysler 300. 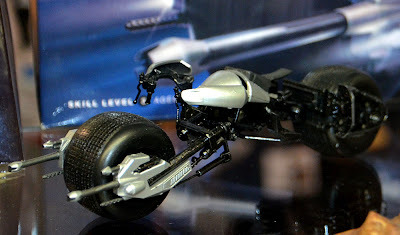 On the movie front, Moebius will be adding a 1:25 scale Tumbler Batmobile from Batman: The Dark Knight. 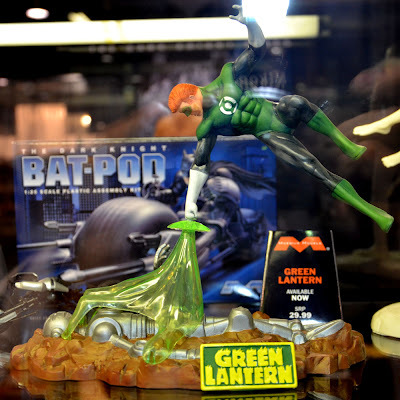 The Batpod from the same movie (above) should already be on release. I'm pleased to say that these items keep to conventional car scales, instead of some of the ‘odd’ ones used previously. 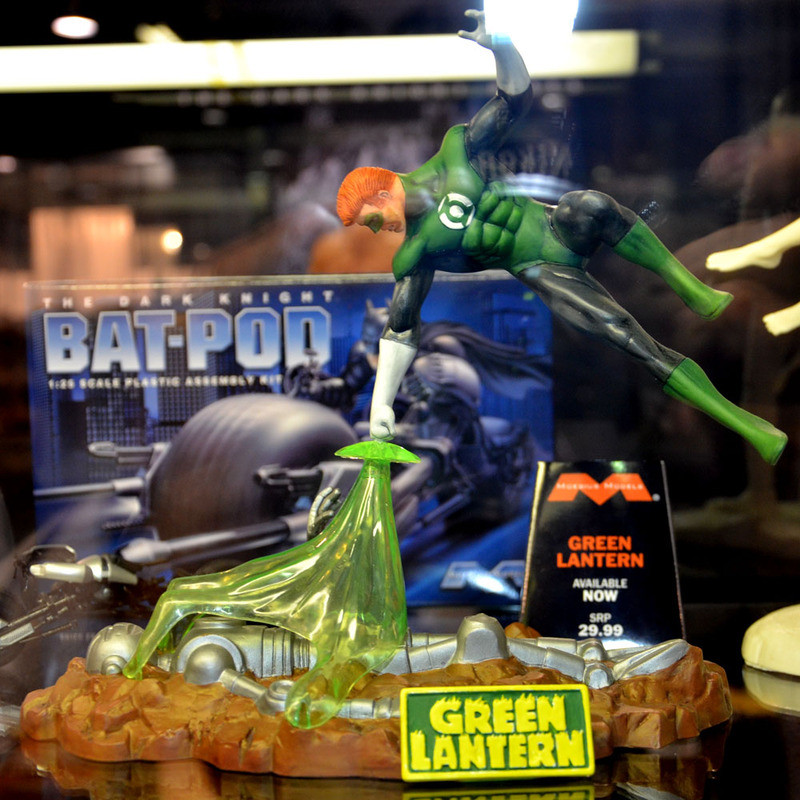 The Green Lantern, a brand-new Aurora-style figure kit. 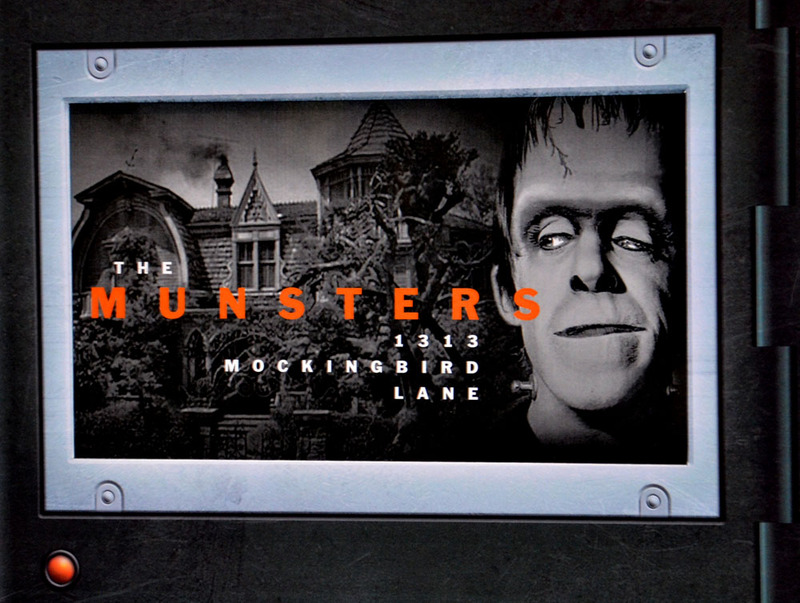 The Creature from The Black Lagoon with an armful. Staying with movies (and comics) a Green Hornet figure has just been released, and a new kit of the Creature from the Black Lagoon is to follow. 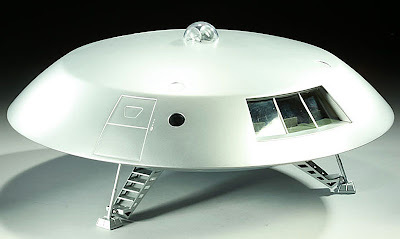 A hubcap-sized 1:35 scale Jupiter 2 starship from Lost in Space will have a lighting system installed. 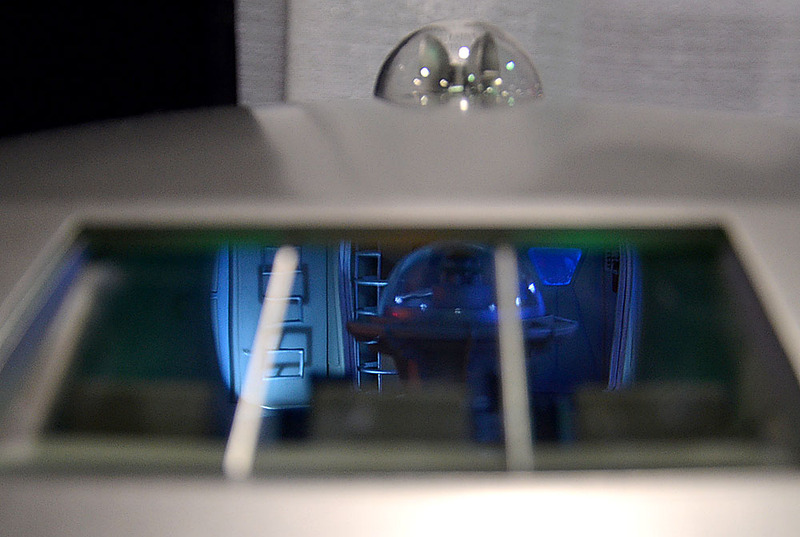 It will also have a metal hull and landing gear, giving it a hefty all-up weight of nearly 10 kg (22 lb). Light-up interior of the Jupiter 2. 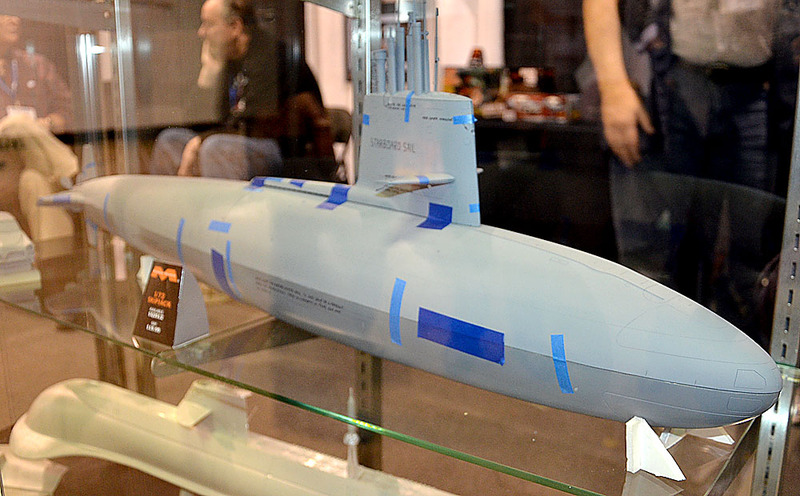 If you’re a fan of marine models, especially in larger scales, there’s a 1:72 scale kit of the USS Skipjack, an early US nuclear submarine (above). This is another biggie kit, with a length when fully assembled of some 1077 mm (42 in). Skipjack-class boats were the fastest subs of their day, with underwater speeds reckoned to be nearly 60 km/h (36 mph). 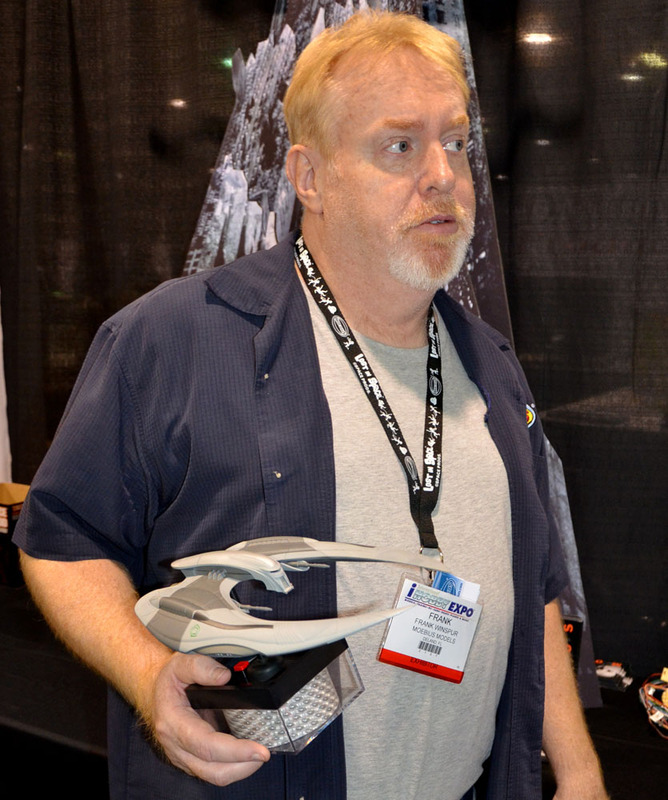 CEO Frank Winspur, holding the Cylon Raider from the reinvented Battlestar Galactica. 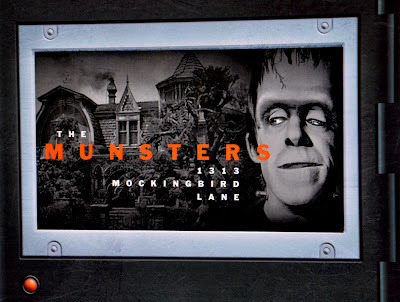 Finally, it’s not giving too much away to say that we will also be seeing “something” from The Munsters in the near future. No prizes for guessing what the subject might be! Check out Moebius Models here. And a whole range of stuff here.